3mm wide. 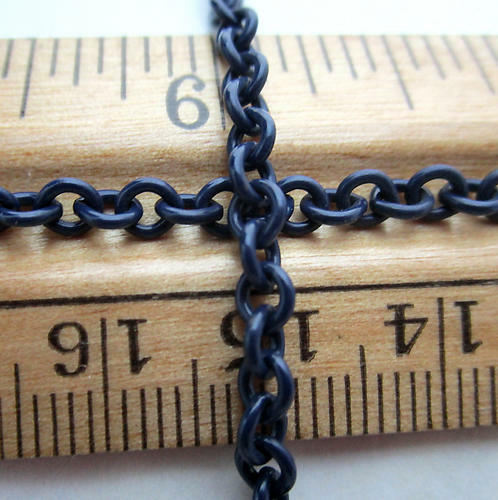 Vintage navy blue cold enamel steel cable chain chain. Multiple lots will come in one continuous length. New old stock. Jewelry supplies.